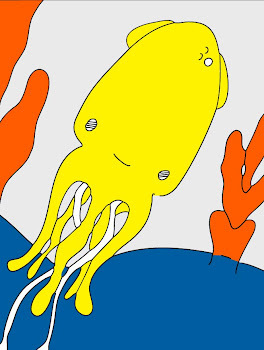 Technicolor Squid: Late Late Late Night With Conan O’Brien. Late Late Late Night With Conan O’Brien. It is 4:45 am. We set the alarm clock to wake us at 4, so that we could watch the repeat showing of Conan’s trip to Finland. I accidentally erased it before Si could watch it. We tried to record it, but for some strange reason the d.v.r. won’t allow us to tape this show, and only this show, this show that airs at 4 am and only 4 am. Oh well, this episode is worth it. You can even see clips for a limited time here (highlights/video moments) and the best part is that you don’t have to set your alarm clock to go off at 4 am. You can if you want to. I mean if you really want the “vegasandvenice” “Conan in Finland Experience”, well then you probably should set your clock. Go ahead I will wait here.